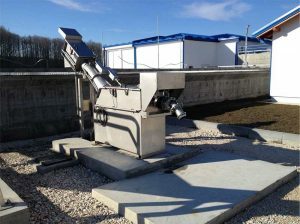 Hunter Alliance SAU septage receiving stations are designed to receive, screen and separate septage solids. 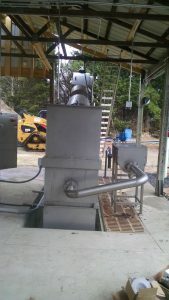 These units incorporates fine screening shaftless screw system, spray wash, compacting and control systems. 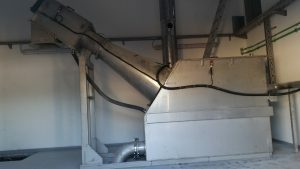 The septage receiving stations wash and efficiently reduce the screening volume from 40% to 60% and achieve a dryness of 25%-35% with standard septage receiving stations to handling flows to 100 m3/h. The processed solids are conveyed to a convenient elevation for discharge into a bin, bagging system or conveyor. Hunter Alliance can provide septage receiving stations with an automatic control system which collects transaction data, authenticates haulers and more.